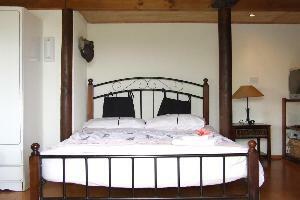 Our spacious, private main B&B guest room in the main house with separate entrance & terrace, Breakfast included :), with ensuite spa and great views over the green valley. BBQ, Pool and Sauna available. 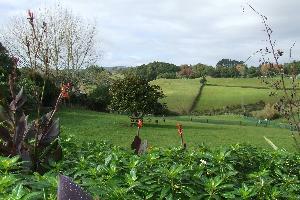 If you just like to relax, feed the Emus, start your NZ tour or pick some berries in season - Jana & Sven welcome you on our little farm just 30min from downtown Auckland and 25min from the airport. 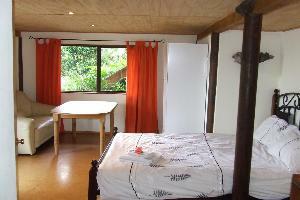 The Villa Emu Studio with separate entrance consists of a bed room with queen size double bed, a bathroom with shower/ toilet and a living room with Sky TV, table and chairs. Villa Emu is nested in the garden with views over the berry farm, Emu paddock and the green valley. 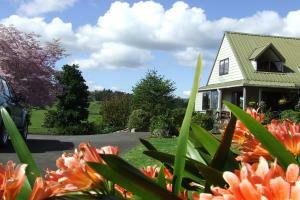 The house has a separate entrance from the road about 50m away from the main house, free parking, BBQ and outdoor seating. 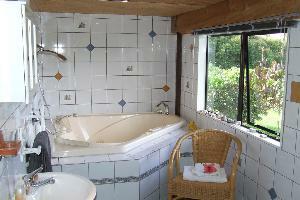 There is an outdoor bath tub / shower and the main pool area can be used.